Step Aside Jason “Saturday The 14th” is Here! What? 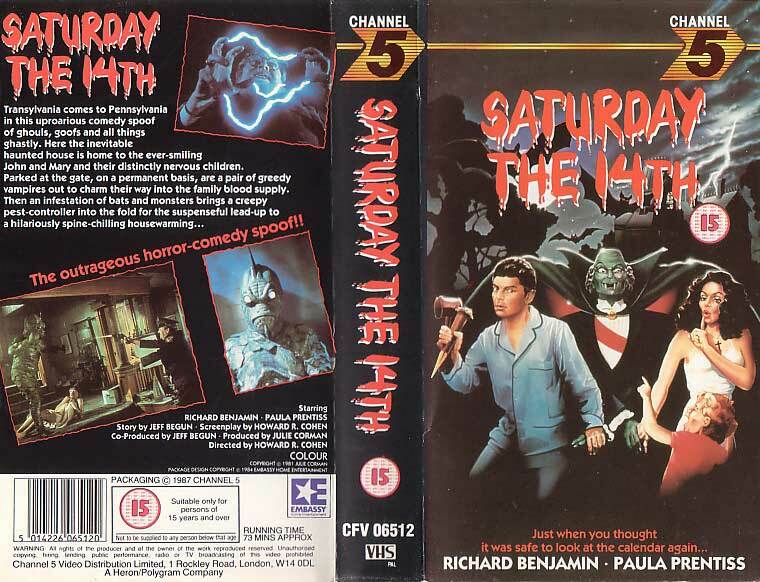 You never heard of the 1981 movie “Saturday the 14th”? Well I thought I’d give it a shout out today as it’s indeed Saturday the 14th! This little long forgotten horror comedy, produced by Julie Corman, wife of Roger Corman! it’s a fun little low budget horror spoof starring Richard Benjamin whom most people remember as the main character from Westworld. This one though is jam packed with a ton ridiculous man in rubber suit monsters, schlocky 80’s effects galore and full on corny humor, it’s the perfect movie to follow up everyone’s Friday The 13th parties! It’s streaming on Netflix too so check it out already!! It’s been many years since I’ve seen it, hmmmm….Saturday The 14th party anyone?! Could be a new trend in the making! The Turkish “Exorcist”: Demonically Terrible FX!!! Star Trek: Less Action Please! !